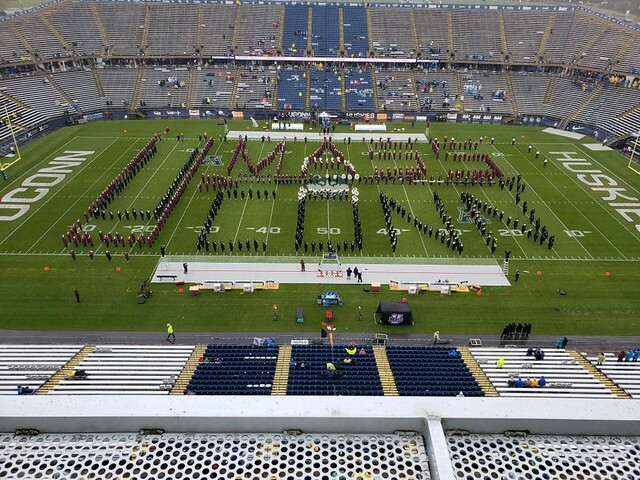 UConn Marching Band - "The Pride of Connecticut!" 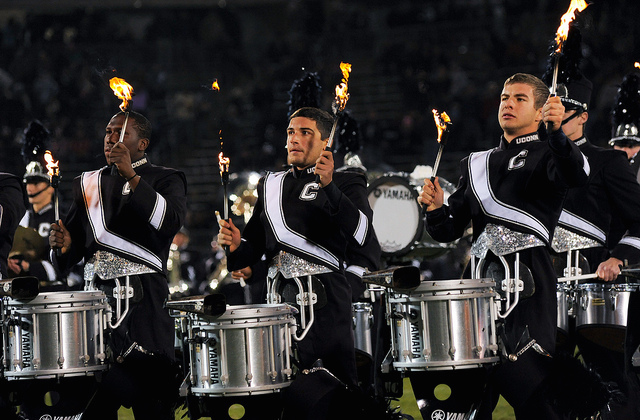 On Friday, April 12th @5:00pm EST, the UCMB will be hosting a live Q&A session with a panel of current student members. 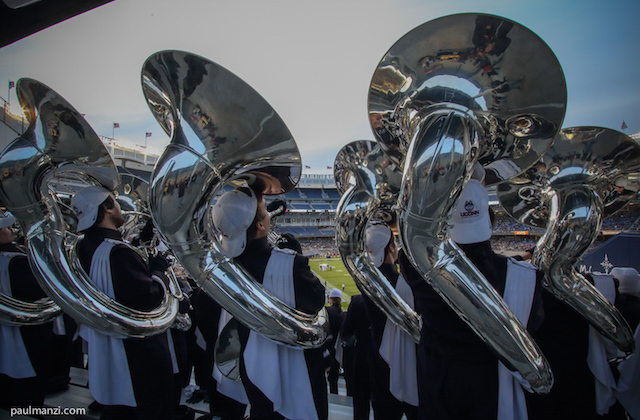 Become a member of one of the northeast's top collegiate marching bands while attending a top 20 ranked public university. The UCMB is raising funds to build a rehearsal observation tower and improve the band practice field. 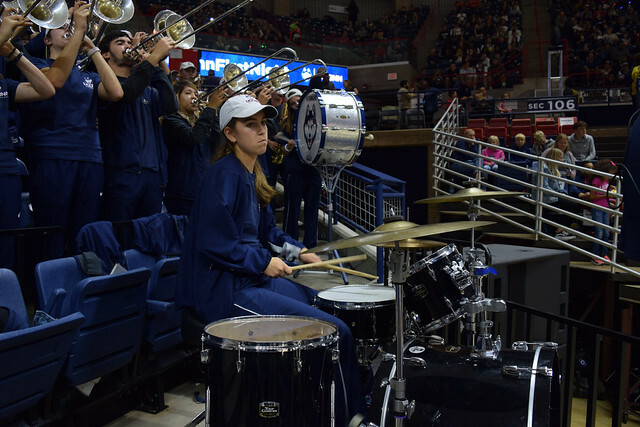 The UConn Pep Band is an auditioned group of student musicians who perform and cheer at UConn men’s and women’s basketball and men’s hockey home games. 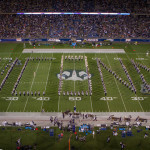 The roots of The University of Connecticut Marching Band date back to the formation of a military band of cadets in 1904. Composed of roughly fifteen musicians, the band consisted of all male students playing brass and percussion instruments. The 1915 band consisted of the Chief Musician, M.R. Young, Principal Musician, J.R. Chase, Drum Major, E.F. Farnham, as well as several Corporals, Sergeants, and Privates. 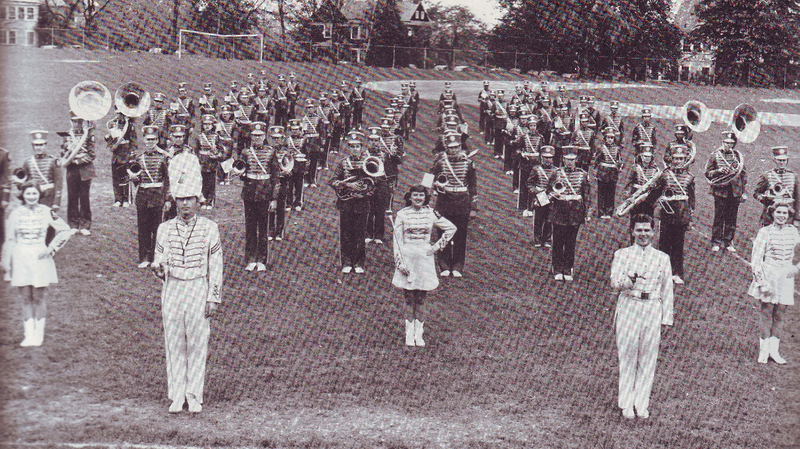 Throughout the 1920s, the band could regularly be seen leading a parade of students and alumni through campus to the football games. Band Council Officer positions also date back to this early time frame. 1938 marked the first Band President, Edward Moore. Other Council Officers that year included Vice President and Manager, Roger Brundage, and Karl Krantz as Librarian and Secretary. 1939 marked reorganization for the band. Mr. Jack Brocjek became the new director of the College Band, and gave the opportunity for everyone to participate in the band. 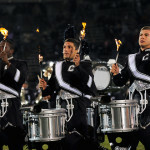 The band performed at all campus activities and athletic affairs. 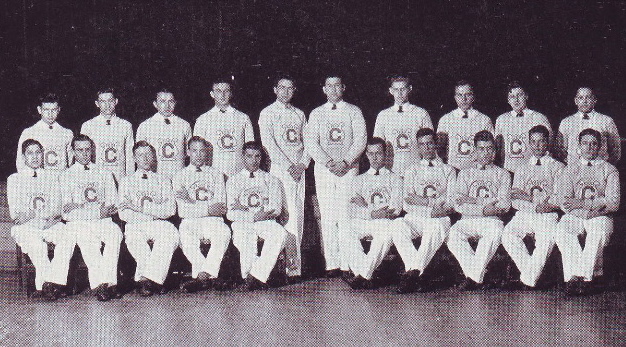 1939 also marked the year of the official name change of the University, from Connecticut State College to The University of Connecticut. 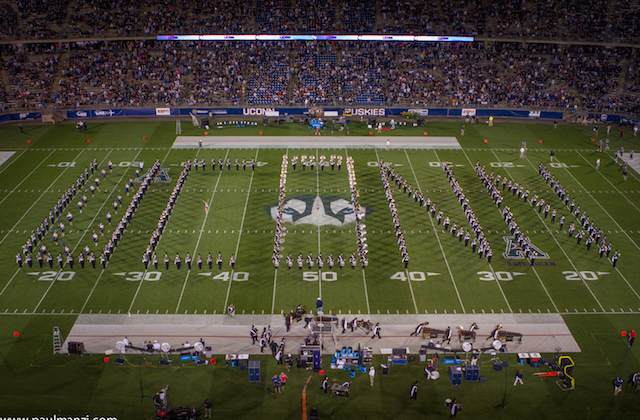 With the opening of the new Memorial Stadium on the campus of The University of Connecticut in Storrs, the UConn Husky Marching Band (UCMB) made its official debut in 1953 with Russ Bedford as Drum Major. 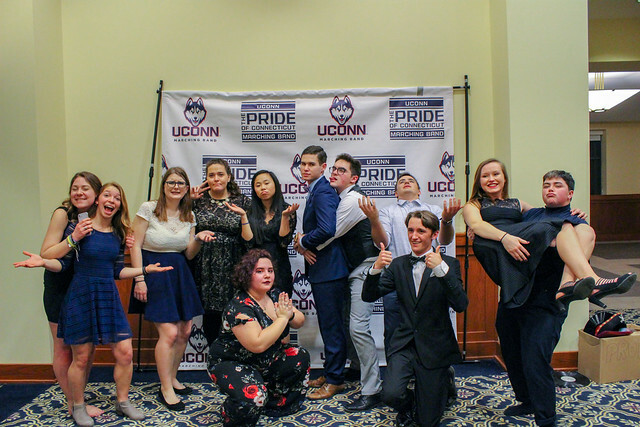 Membership exceeded ninety students, and in 1955 included halftime shows such as “A Salute to Jerome Kern,” “Droodles,” and a special arrangement of “UConn Husky,” performed as it would sound in various parts of the world. 1955 marked an exciting year for the UCMB. Under leadership of a new director, Mr. Louis Anderson led the band in exciting directions. 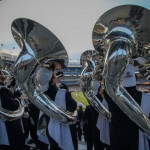 Marching at 210 steps per minute, the band performed a new show at each of the home footbatball games, becoming the “Best in the East,” as many loyal followers termed them. 2010 saw the “Pride of Connecticut” play in the newly rededicated ‘Big House‘ of the University of Michigan in Ann Arbor. 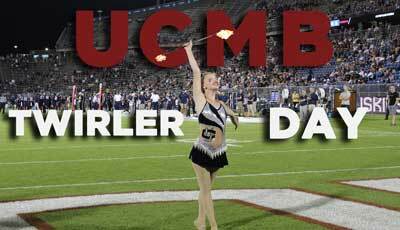 The UCMB performed for 113,090 fans, the largest attendance for a football game ever. 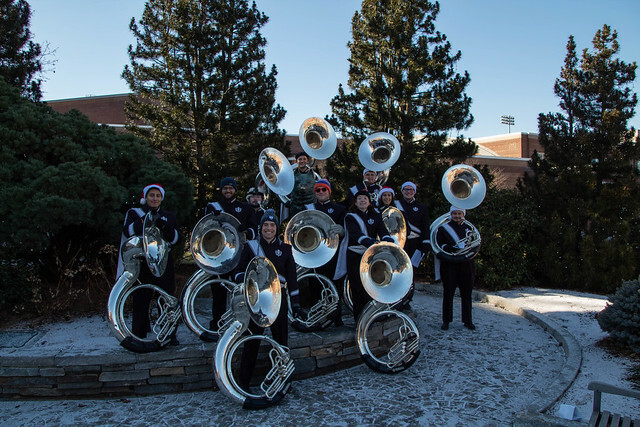 Later that year it was off to Glendale, Arizona for the Tostitos Fiesta Bowl with the “Pride of Connecticut” performing, as an exhibition band, in the Fiesta Bowl Band Championship on December 30th, and then marching the 2.5-mile circuit in the Fiesta Bowl Parade on December 31, 2010. 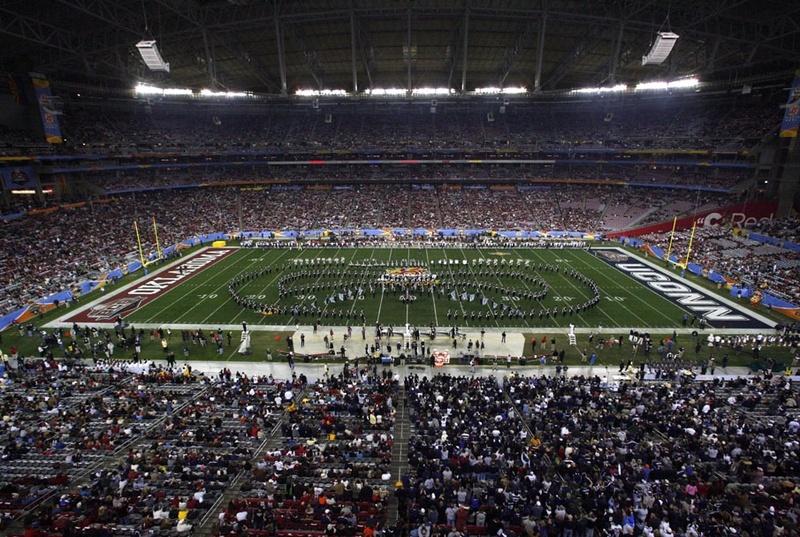 January 1, 2011 the band cheered on the Huskies against the Oklahoma Sooners at the University of Phoenix Stadium in the Tostitos Fiesta Bowl game. 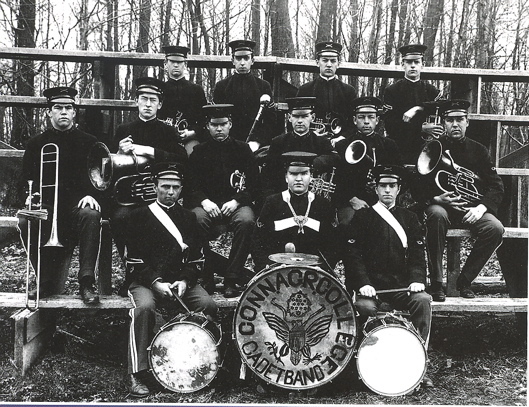 Throughout its 114 year history, the band has grown and developed, building upon its rich history and tradition. 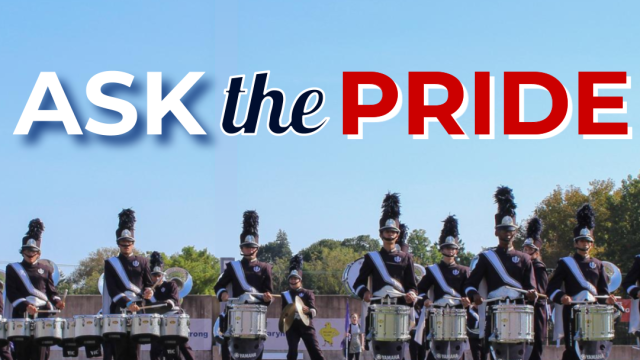 To the citizens of the state, UConn Country, and the world, the band has become “The Pride of Connecticut,” and a source of joy and inspiration to all who experience its talent, unity, and pride.